Larry Love and Olaf Tyaransen. DON'T YOU Know Who I Am? the acclaimed rock‘n’roll short film, written and produced by award-winning Galway author Olaf Tyaransen, will be screened at Electric Picnic this Saturday. 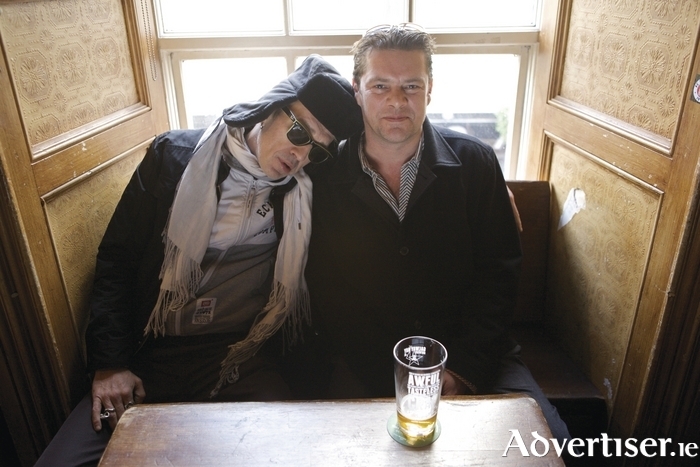 Adapted from Tyaransen’s original story in the Doire Press anthology, Galway Stories, and shot in the city in November 2013, it stars Alabama 3 lead singer Larry Love as Rick Rossi, a rock singer who comes to Galway, still reeling from the death of his best friend, only to find out his arrival causes a sensation. The film is directed by Paul Duane and also stars Paraic Breathnach, John O’Dowd, Hugo Seale, Gerry Conneely, Amanda Brunker, and cartoonist Tom Mathews. It premiered at the 2014 Galway Film Fleadh and was selected for screening at the San Francisco Irish Film Festival. Don’t You Know Who I Am? will be screened in the Theatre Tent in the Mindfield area of Electric Picnic on Saturday at 7pm, and followed by a public interview with Olaf Tyaransen.